Comments - Handsome image of a green parrot perched on the flowering branch of an aronia shrub. 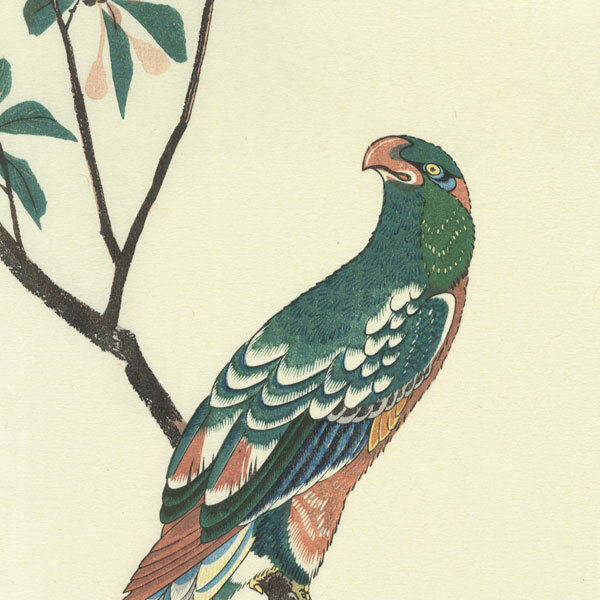 The bird looks inquisitively over its shoulder, its colorful feathers carefully rendered. A bold design.